It's no secret among design lovers that our trends and tastes change just as quickly as those in the fashion world. Year to year, and even season to season, we see dramatic shifts and full-stop reversals in the most popular paint colors, furniture styles, renovation must-haves, and global influences. Bright, preppy hues fall victim to suddenly fresh-feeling pastels. Graphic Moroccan motifs get passed up in favor of painterly, Japanese-inspired ones. Granite countertops get sheathed in concrete and butcher block. We love nothing more than a good renaissance, whether it's an antique standby coming to the fore thanks to the New Traditionalist movement, or a long-shunned hue suddenly popping up in every hip home on Pinterest. Tracking how, where, and from whom new trends emerge is a full time gig, and one that feels, for obsessives like us, like decorating espionage. Which is why, we're already keeping tabs on the forms, finishes, and flourishes that we think will hit it big in 2016, and sharing our most exciting predictions with you! Keep scrolling to see six major design trends from 2015 that are about to be tweaked, reimagined, outright replaced, and made that much more covetable for the year ahead. Ever since the glory days of Shabby Chic we've been collectively vibing on the easy, beach house feel of whitewashed floorboards. They feel fresh, yet casual, Can go country cottage or Scandi modern.They've been done so many times and in every imaginable iterations over the years, which is likely why the prospect of coating our hardwood in barely-there color just isn't quite as exhilarating as it once was. 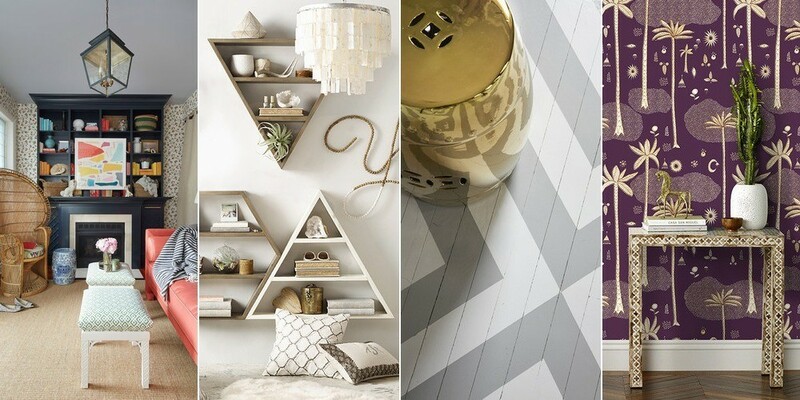 So, when it comes to style underfoot, we're saying "on to the next one" and calling floors painted in bold geometric patterns as the next big thing. The possibilities are truly endless, though we're fond of a punchy geometric and a faux-inlay look. Let old-world stone patterns be your guide or get crafty with an imitation rug design. 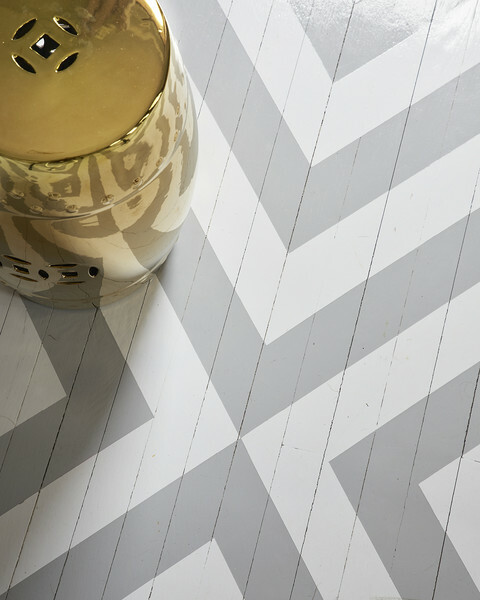 A chevron-pattern painted floor by BHDM design. 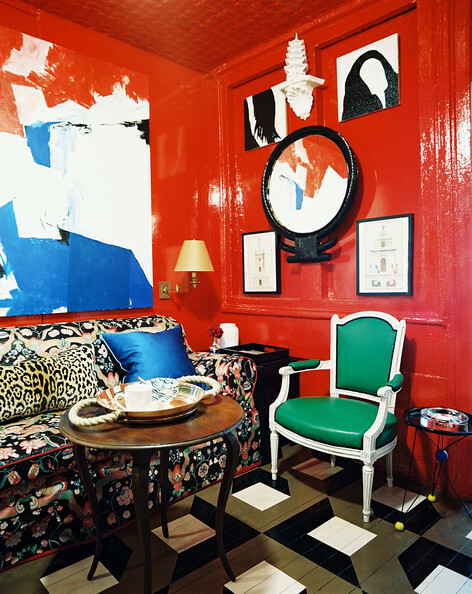 Designer Nick Olsen's former NYC apartment. 2015 was undoubtedly the year of the pineapple. From printed textiles to gilded trays, ice buckets to door knockers, the tropical fruit's image dominated the design world. After hitting it's peak in early summer, when we were all game for warm-weather motifs, the piña market started to become a little oversaturated, and by fall it had soundly overstayed its welcome. So what's the next print to break big? Our money's on tropical leaves in general, and monstera plants in particular. Here's some background on the green of the moment, we've been known to tout as the next Fiddle Leaf Fig tree. 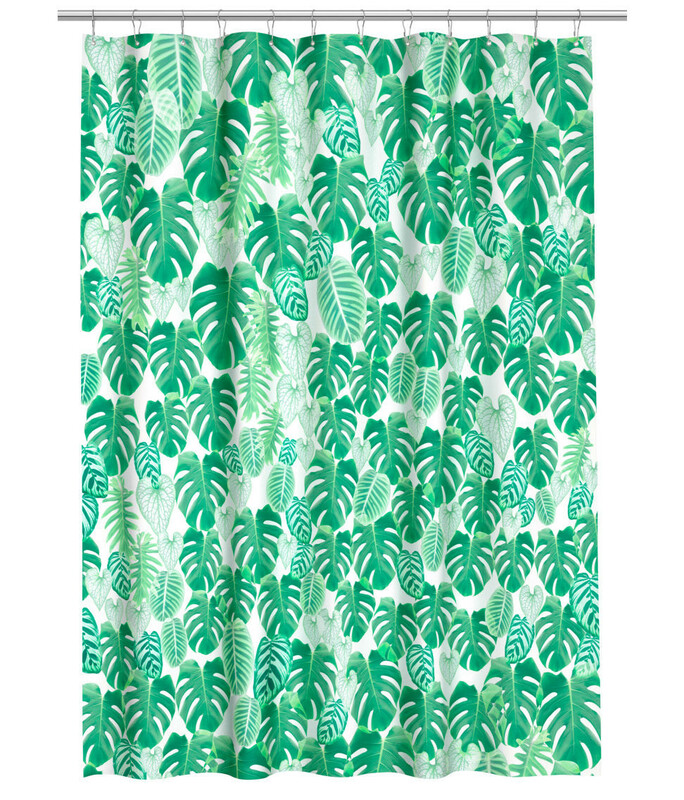 Printed Shower Curtain, $19.99, H&M. 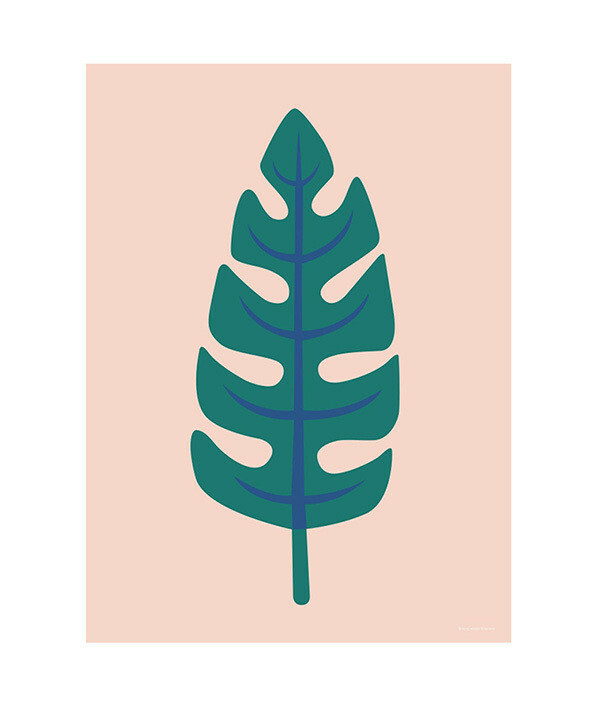 Palm Leaf Poster Print, $50, Leif. 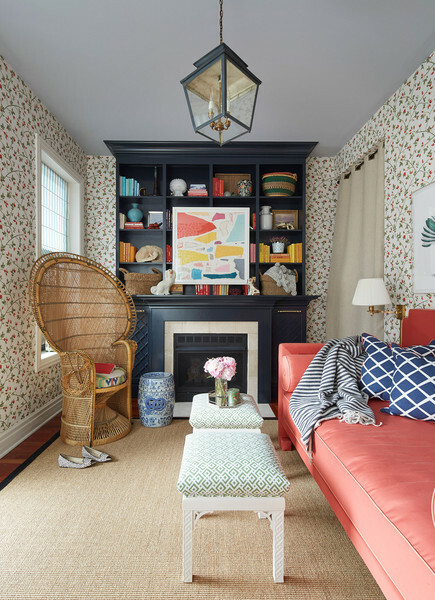 With patterned wallpaper's massive surge in popularity over the last few years we've seen classic prints making a comeback (hello, Brazilliance), cool minimalist iterations (we like Calico's), and a number of tongue-in-cheek takes on old-fashioned styles like toile, chinoiserie, and damask getting a lot of well-deserved attention. But the latest lines to hit our radar are less outright cheeky, more throwback cool. 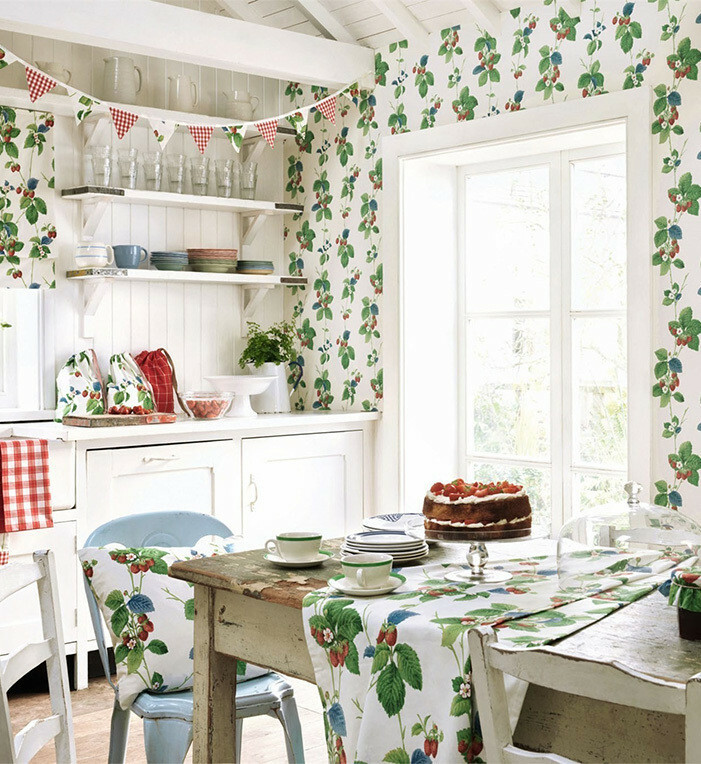 We think 2016 will be the year of the retro-inflected botanical print. 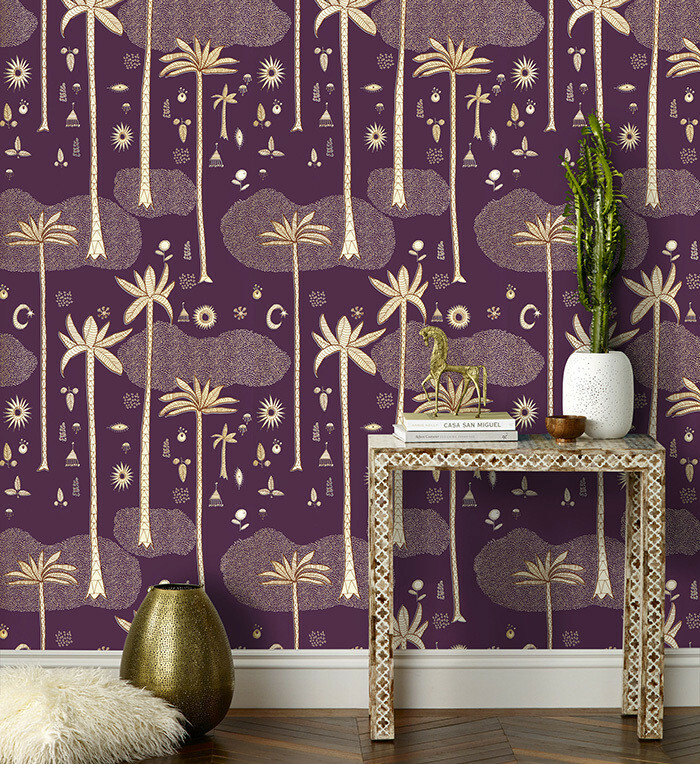 From casbah-worthy palm tree patterns to grandma-chic strawberries, we'll see a swell in influences from Palm Beach to Palm Springs. 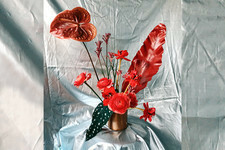 Cosmic Desert by Justina Blakeney for Hygge & West. Fine, fine, the gallery wall is going nowhere fast. 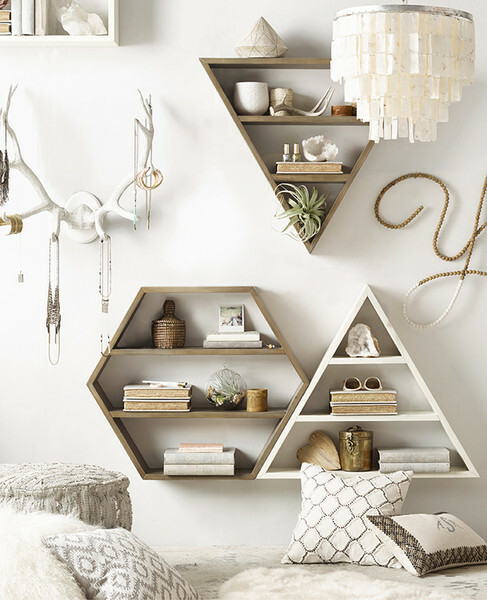 But we're always game for a new option to compete with the dominating decor staple. 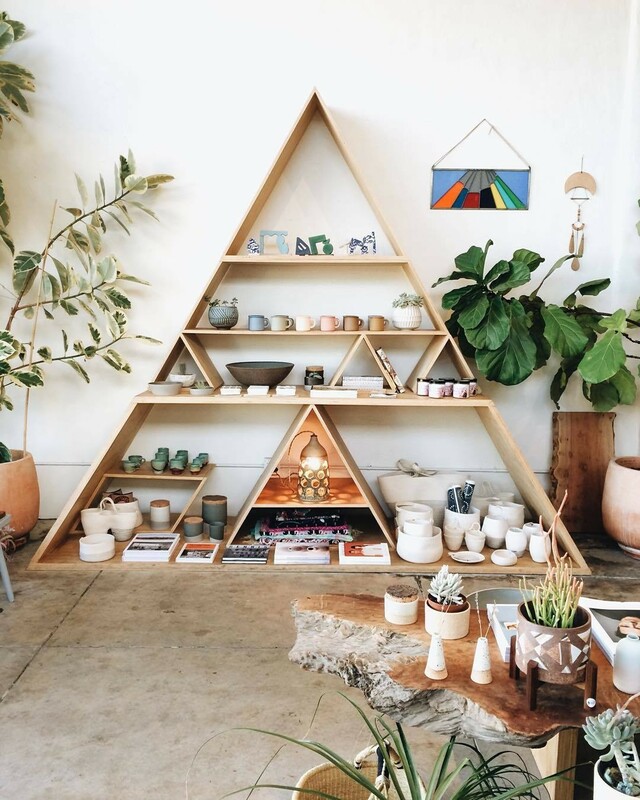 This year we've been noticing some very hip, geometric wood shelves popping up in trendsetting shops like L.A./San Fran–based General Store, as well as in just-launched lines like Restoration Hardware's on-point teen collection. 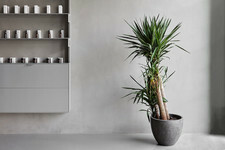 The look is a little bit futuristic, but the down-to-earth materials—we've seen them in trendy plywood and classic birch—keep things feeling low-key cool. Wood Curio Shelves, $129, RH Teen. 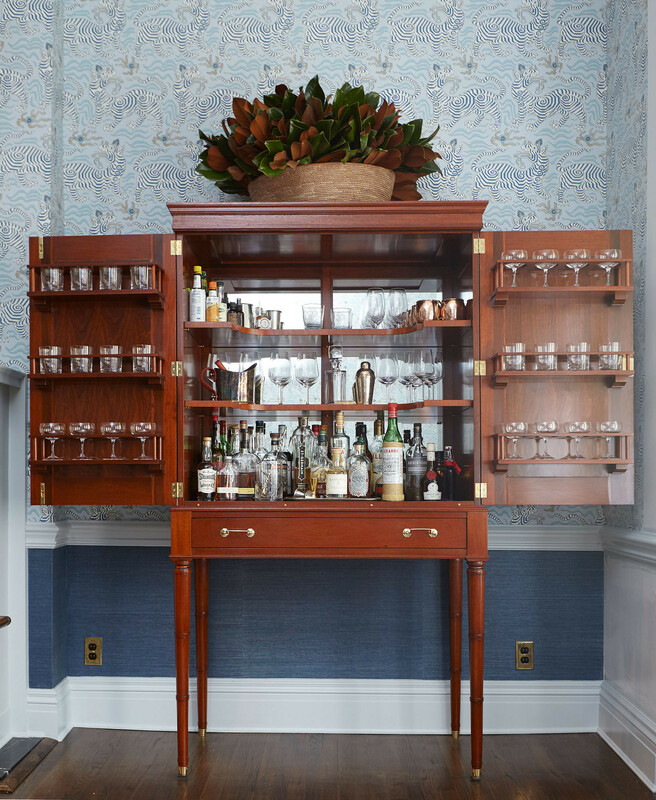 Most of us credit the influence of all things Mad Men for the massive popularity of home bar carts over the last few years. And we've spent plenty of time thinking about shopping for them and styling them up in the past. In 2016, however, we're predicting stylesetters throwing it back a bit further than the 1960s and flaunting some sophisticated, fully stocked bar cabinets. We like a classic carved-wood or chinoiserie-adorned piece, but don't overlook a glossy Hollywood Regency iteration either. A Brooklyn Heights home by Nastasi Vail. The painted accent wall is doubtless the trend we're most done with for 2k16. The look appears to have come of age circa Trading Spaces and proceeded to proliferate almost every home makeover throughout the aughts. It's an easy—if kind of wimpy—way to add a decent dose of color to your room, but it's become so ubiquitous it's impact long ago sputtered out. The fresh take on the partially painted room? A colorful ceiling. 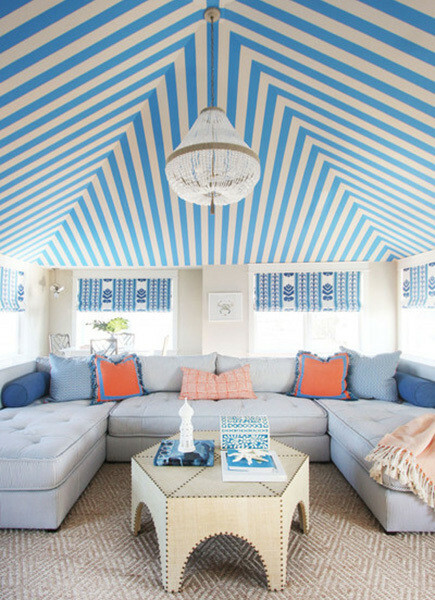 Whether coated in barely there light blue (a foolproof interpretation for the color wary) or decked out in vibrant stripes, your ceilings—and your tired accent wall—will thank you for taking part in this trend. 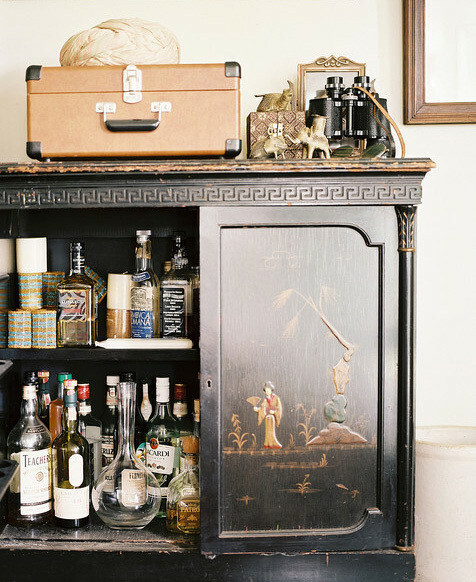 A Chicago apartment decorated by Summer Thornton. A Jenny Wolf-designed New Jersey beach house.